The Russian Cossack dance, also known as Kazachok or Kozachok dance, in Ukrainian Hopak dance, or squat dance. The Cossack dance is popular all over the world thanks to vivid rythm, leaping and amazing acrobatic jumps. 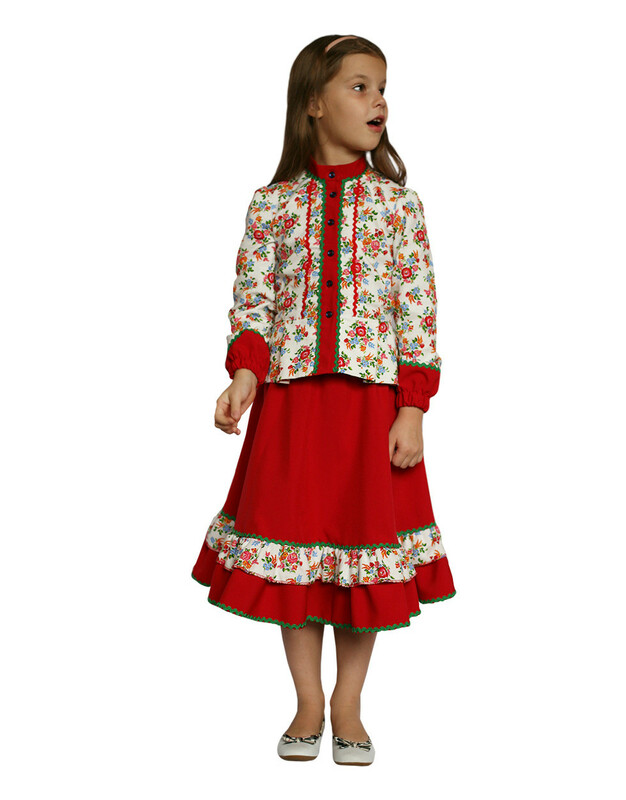 This Cossack costume is perfect for any occasion: dance perfromance, Russian singing or folk festivals. 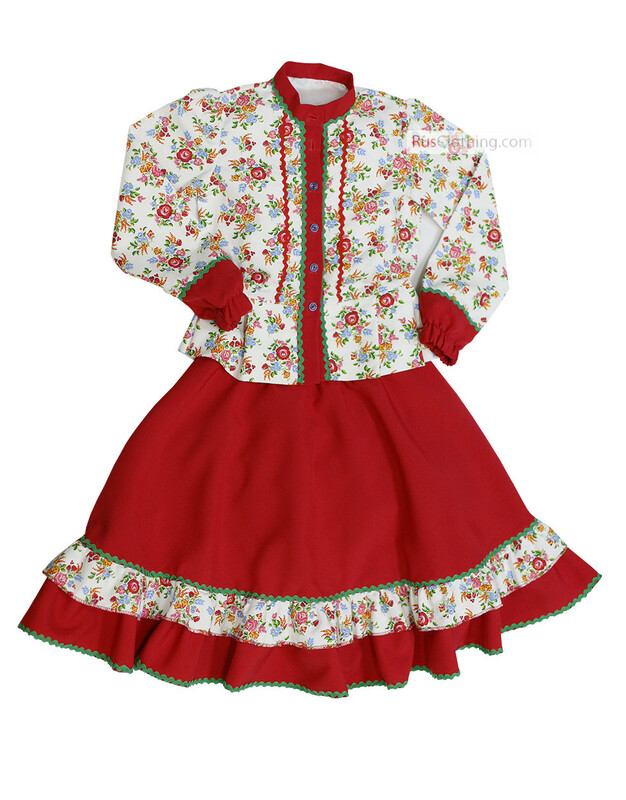 The Russian Cossack costume consists of a red skirt (knee length) and a white floral jacket. Bright flowers decorate also the bottom of the skirt. 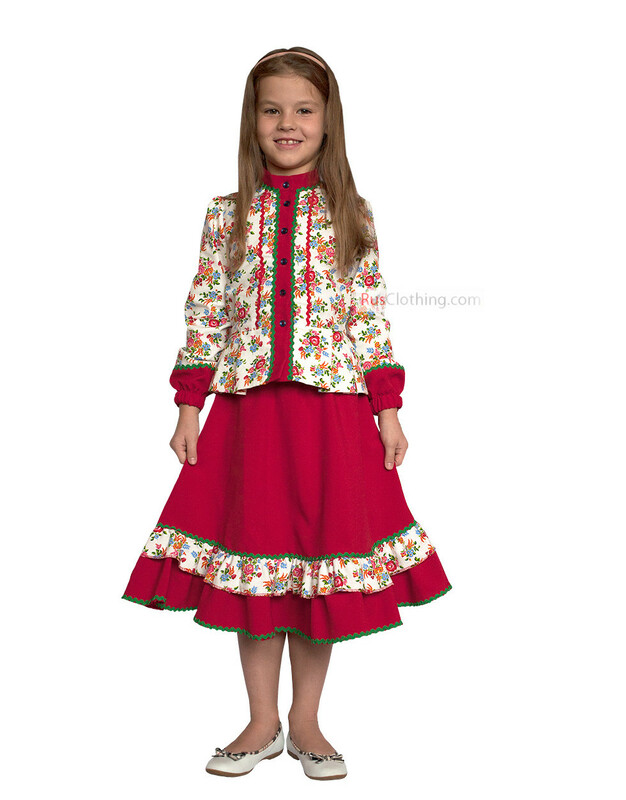 Such Cossack costumes can be designed for adults as well per individual request. The sizes for girls are indicated by age. For ladies, there is a regular table with S-XXL sizes.